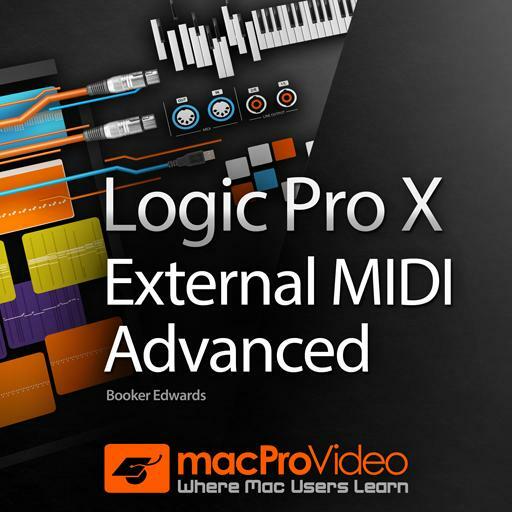 Logic Pro X 114 - External MIDI Advanced. When synching Logic to Pro Tools, transmit ___________________ instead of _______________ because it is more accurate and stable. This plugin allows you to process audio from your Logic project using external processors like compressors ____________________. Another name for Parallel compression is? In order to synchronize Logic to an external sequencer and send tempo information, you must transmit ______________ to the external sequencer. In order to bounce a Logic project with External MIDI instruments included, this bounce setting must be activated. To handle the audio from multiple external MIDI instruments, your audio interface only needs 2 inputs. True or False? This plugin allows you to record MIDI and pass audio from an External MIDI instrument.